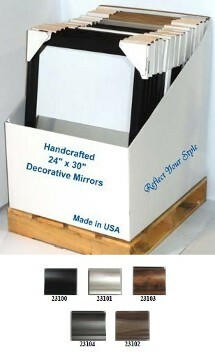 One Size – 24" x 30"
20 Mirrors per Carton O.D. The Individual Lite Pack is a fantastic alternative for those who want to maintain floor and backroom space, and maximize the value of their shelf space. We have taken the top 5 most commonly recognized sizes in the Hardware Wholesale and Picture Framing Industry, individually packed and boxed them, and are helping our customers establish new ways to sell glass with great success! 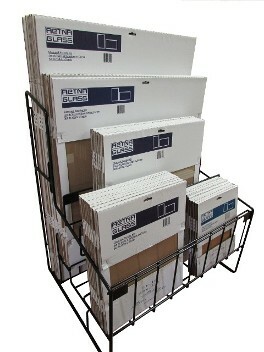 The Aetna Glass Rack was built to save floor space, and safely house your boxed glass! Though smaller from previous models, the largest common size of glass being used is the 36x48, which can still be safely cut on this model. When handling glass products, safety is critical for you and your staff! 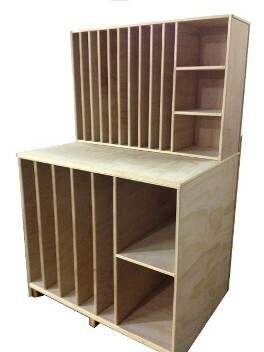 Storing your glass in its original wood-stick package in this model proves to be safer and more efficient!